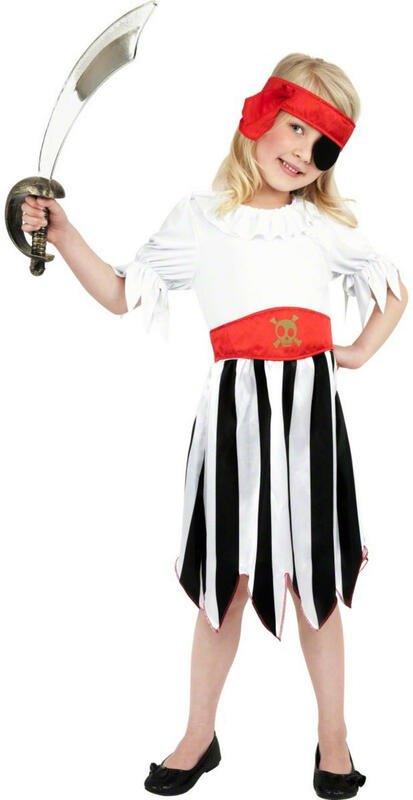 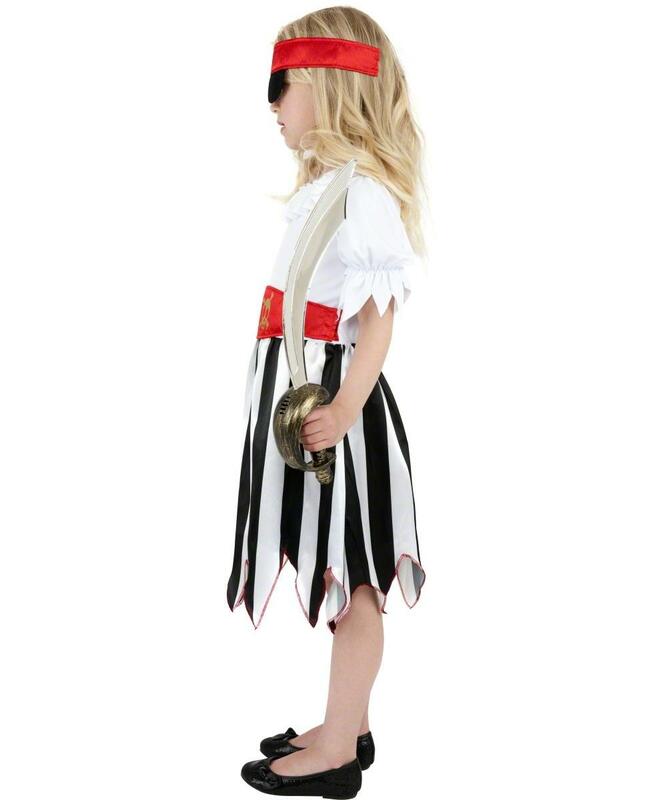 Get your little girl having a pirate inspired day of dressing up and she'll be walking the plank in no time with our fantastic value and great looking Pirate Girl Fancy Dress Costume. 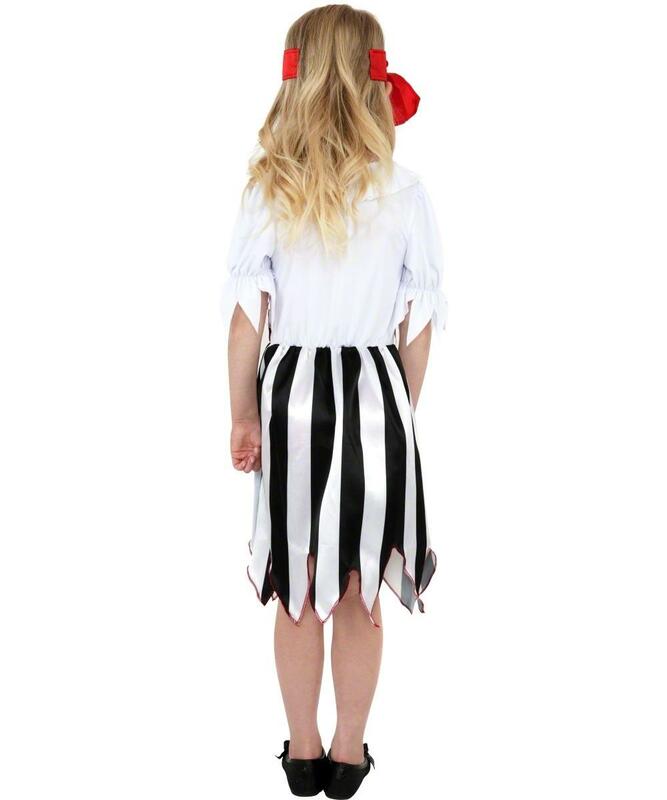 Included is a white dress with ruffle neckline, jagged sleeves and a black and white striped attached skirt with a zig zag hemline, finishing the dress is a pretty red waistband with gold printed skull and crossbones. Completing the look is a red headband. 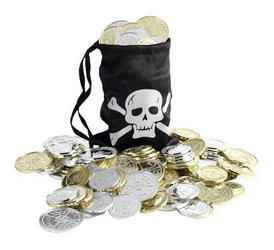 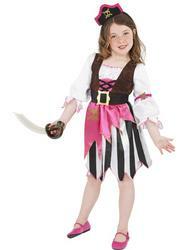 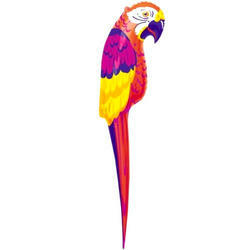 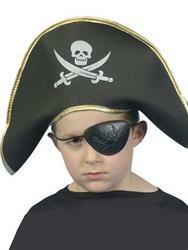 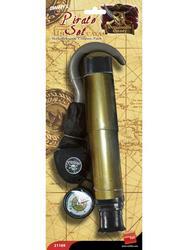 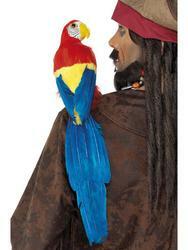 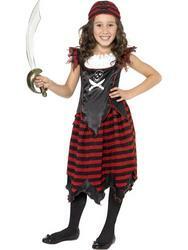 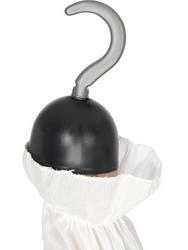 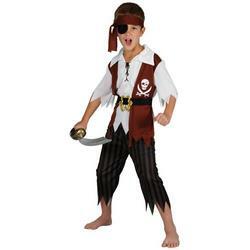 A brilliant value pirate costume suitable for any fancy dress party.